Property 8: Artist Loft! Just Two Blocks from Central Park! Property 14: Comfy 1/bdrm Apt Fully Equipped Parking Gated, 4 blocks f/Cntl Park Inexpensive! Property 15: "Beautiful two-Bedroom Apartment"
Beautiful and comfortable loft in the heart of Antigua! Property 29: Beautiful and comfortable loft in the heart of Antigua! Apt. 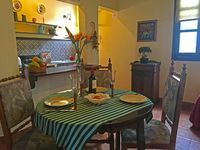 4 pax, Gated, 4 Blocks f/ Park, furnished, Car Park, lovely, Inexpensive! Property 33: Apt. 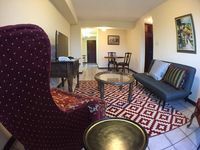 4 pax, Gated, 4 Blocks f/ Park, furnished, Car Park, lovely, Inexpensive! An Exceptional Place, a colonial city! Property 35: An Exceptional Place, a colonial city! Gorgeous Apartment Walking Just 2 Blocks from Central Park! Property 39: Gorgeous Apartment Walking Just 2 Blocks from Central Park! The apartment has an excellent location near every main attraction that Antigua has to offer. Parking is from a third party. Excelente ubicaci&oacute;n y me sent&iacute; segura. Muchas gracias por hacer mi estad&iacute;a en Guatemala muy buena y espero volver pronto.